The C-Shape kite from Slingshot in it's 10th edition! Our dutch "Homie" Ruben Lenten is the driving force behind this freestyle kite. 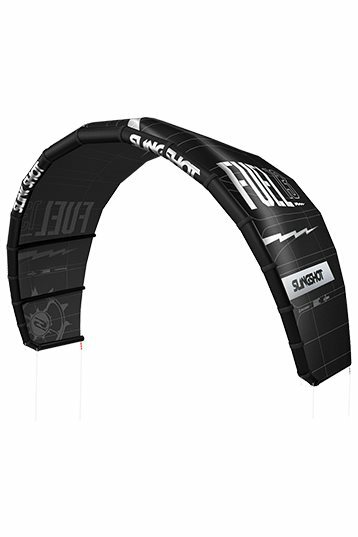 The fuel has been tuned to one of the best C-Shape kites in the 10 years that it has been around. It comes with Bomb-proof construction, a option to set up the kite for wake (unhooked) style or Freestyle (hooked in) riding, and one-pump. The kite was designed for power throughout the whole flightline. A direct feel and power on-demand. Also, it is designed to withstand any load on the struts, canopy, one-pump system and the bar. If you are a freestyle freak the Fuel is worth trying!